Leave it to Spike Lee to make a film that is the most frank, direct and radical statement about America's current racial tensions. Ironically, he does this in a story that is 45 years old and exactly the point. 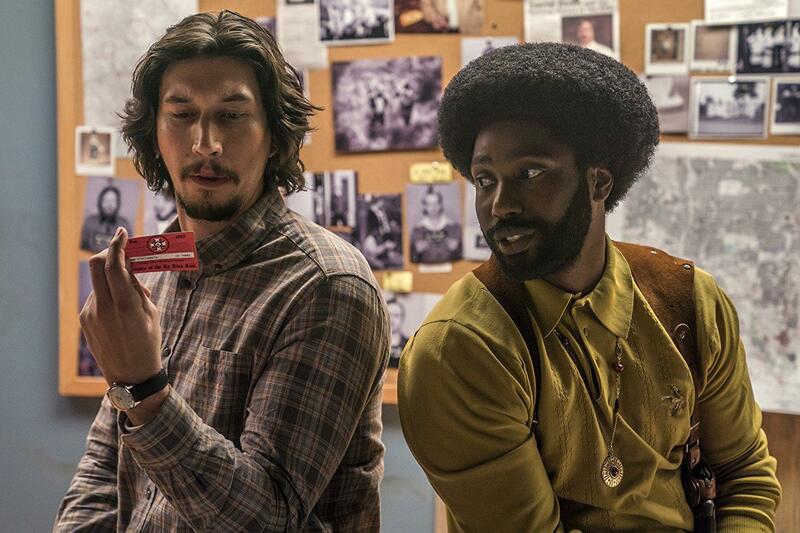 His BlacKkKlansman is angry, inspired, confrontational and the best film that Lee has made in over a decade. Set in Colorado in the early 1970s, the film follows Ron Stallworth (John David Washington), the first black officer in the Colorado Springs police department. Though still a rookie, Stallworth manages to get in contact over the phone with a member of the local Ku Klux Klan. With the help of another officer (Adam Driver), Stallworth successfully infiltrates the Klan and even becomes head of the local chapter! Though technically a period piece, the film is not content with confining itself to one time. The problem with most films about racism set in the past is that they always make things seem like racism is something that only existed in our past. So many films address racism as something that has been overcome so that the audience can pat themselves on the back for being so much more enlightened today (I'm looking at you, The Help). Lee's film, on the other hand, deftly uses the story to allude to current events and today's political climate. He never wants you to think that this is something that has been eliminated. These problems are still problems we face today and, as the film's brilliant final sequence makes perfectly clear, things may have only gotten worse.